No matter how highly developed and promising a treatment program for addiction and dual-diagnosis may be, its true effectiveness is hinged on the excellence of the professionals delivering it. At our very inception, the goal of our founder was to assemble the best of the best in women’s addiction and mental health treatment. Today, this fully integrated dream team of clinical and support staff is motivated and inspired by one simple idea; to provide the best possible care for the women they serve. Our team includes renowned PhD-level therapists, medical doctors, and psychiatrists, as well as licensed marriage and family therapists, registered nurses, case managers, and recovery counselors. Even our nutritionist and chefs are the best at what they do, are integrally involved with each participant, and bring a spirit of creativity, inventiveness and caring to each balanced meal they prepare. Every member of the Avery Lane team is a consummate professional, extremely hands-on, and operates in an open, nonstratified environment where every voice is heard and where the ideas, opinions, and recommendations that each puts on the table form the basis of continuous improvement and an ever-evolving treatment program. 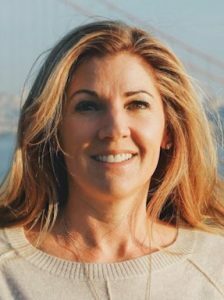 Camille Hildebrand is a native of the San Francisco Bay Area and has over five years of combined personal and professional experience in the field of addiction treatment. Prior to creating Avery Lane, Camille worked in various job roles within other gender-specific substance abuse programs. She brings a wealth of knowledge to creating a program that encourages and supports long-term sobriety and recovery for women. Through her personal and professional experience with substance abuse and addiction, Camille has dedicated herself to helping every individual who is struggling, and helping to show them the path to the life they want for themselves. 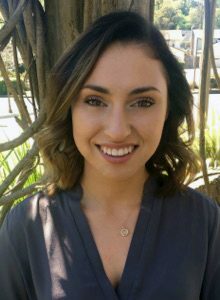 Since she entered the treatment industry, Camille has committed herself to continuing her education in order to earn her Bachelors and Master’s degree in Psychology. 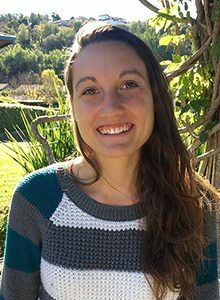 When Camille is not working at Avery Lane or on her degree, she is seen volunteering in high schools in Marin County, sharing her story and helping build drug and alcohol awareness programs. Dr. Smith is recognized as a national leader in addiction medicine, the psychopharmacology of drugs, new research strategies in the management of drug abuse problems, and the treatment of adolescent substance abuse. He is the founder of the Haight Ashbury Free Clinics of San Francisco and has been honored as one of the “Best Doctors in America”. 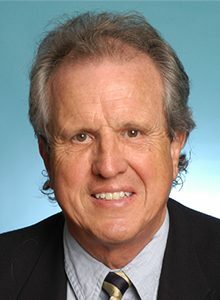 Dr. Smith is a distinguished fellow and past president of the American Society of Addiction Medicine, past president of the California Society of Addiction Medicine, past medical director for the California State Department of Alcohol and Drug Programs, and past medical director for the California Collaborative Center for Substance Abuse Policy Research. Current appointments include chair of addiction medicine for Alta Mira Treatment Centers and medical director for Center Point. Dr. Smith is also an adjunct professor at the University of California, San Francisco. 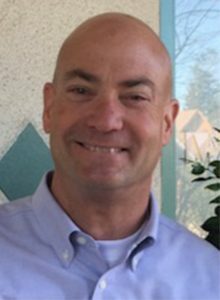 Dr. Michael Genovese is a psychiatrist with extensive experience in outpatient, residential and hospital-based practice. 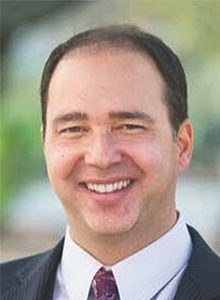 He is an assistant clinical professor of Medicine at the University of Arizona, a diplomate of the American Board of Psychiatry and Neurology, a member of the American Psychiatric Association, the American Academy of Addiction Psychiatry and the American Society of Addiction Medicine. Dr. Genovese co-founded Long Island Mind and Body (LIMB), a medical practice that brought state-of-the-art integrative treatments to a growing patient base in metropolitan New York. While establishing LIMB, he also practiced as an attending physician at nearby Winthrop University Hospital. He was a fellow at the New York University/North Shore University Hospital Child and Adolescent Psychiatry Program, and he completed his residency training at the University of Connecticut School of Medicine. Julie is a certified addictions and psychiatric nurse with eight years of experience in behavioral health. Her nursing experience includes Contra Costa Regional Medical Center Crisis Stabilization Unit, Marin County Psychiatric Emergency Services and John Muir Behavior Health Center For Recovery. Julie has also provided nursing care to homeless patients in San Francisco working in the urgent care and primary care clinics at Tom Waddell and at the San Francisco Sobering Center. She has also provided nursing care at the Transgender Tuesday night clinics during her work at Tom Waddell. Julie’s family has been touched by addiction and recovery, which inspired her to specialize in addiction nursing. She puts her heart into each day caring for the women at Avery Lane. Julie spends her off time enjoying her three children, practicing yoga, and spending time with family and friends. She recently became certified as a yoga nurse and is looking forward to sharing the healing benefits of yoga with patients and other healthcare providers. Lisa Sewell graduated from the College of Marin Nursing Program in 2010. Her nursing experience includes OR nurse at San Francisco General Hospital, health services director at Aegis Living, assistant director of nursing and charge nurse in skilled nursing facilities in the North Bay. She has a passion for working with young adults in recovery and is dedicated to helping her participants achieve long-term sobriety. Lisa is thrilled to be working at Avery Lane with the exciting advances taking place in addiction medicine and genomics, dual-diagnosis application, and medication-assisted treatment for those in early sobriety. In her leisure time, Lisa enjoys hiking, yoga, and spending time with her family and animals. Angella is a registered dietitian (RD) based in Marin County, California. 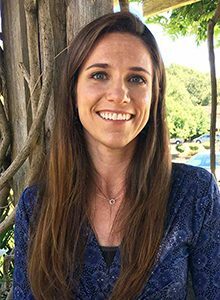 She has experience and training in nutrition therapy for eating disorders and substance abuse at various levels of care including inpatient, partial hospitalization, intensive outpatient, and outpatient. She specializes in a non-diet approach to eating and focuses on a compassionate approach to recovery. With her, you can expect to find a safe, judgment-free space to explore your relationship with food and your body. She wants to help you form a healthy relationship with food that is both life changing and life enduring. She understands that navigating nutritional restoration related to eating disorders and substance abuse is complex, but she believes a full, complete recovery is possible and wants to help you get there. Angella demonstrates excellent listening skills, resourcefulness, and a high level of professionalism, respect, and compassion toward each client she encounters. She uses her abilities to connect with people, deliver practical advice, and understand the challenges that you face to support and promote your unique journey to recovery. She is a member of the Academy of Nutrition and Dietetics, the Behavioral Health Nutrition dietetic practice group, the National Eating Disorders Association, the Academy of Eating Disorders, and the International Association of Eating Disorders Professionals (IAEDP) Foundation. Dr. Adriana Popescu is a licensed clinical psychologist and transformational life coach with over 20 years of experience in the mental health field. After majoring in psychology at Dartmouth College, she received her MA and PhD from the Institute of Transpersonal Psychology, a program that takes a holistic approach to the training of psychotherapists, teaching them how to help participants self-actualize and reach their highest human potential. In addition, she completed a year of studies at the Boulder School of Massage Therapy, where she was first introduced to alternative forms of healing and the idea that any problem or illness has physical, mental, emotional, and spiritual components that all need to be addressed in order to facilitate healing. Adriana is a certified hypnotherapist, Access Consciousness® Facilitator, and Neuro Emotional Technique (NET) Practitioner. She has found that Energy Psychology provides incredibly powerful tools to identify and eliminate the deep-rooted causes of suffering and distress. She has many years of experience with and is a designated trainer of BSFF (Be Set Free Fast), having written her dissertation on this modality and worked closely with its creator. She discovered all these methods through her own quest for health and wellness, suffering with Lyme disease and Chronic Fatigue Syndrome for 17 years before healing herself and becoming symptom-free. Adriana developed her specialty in treating addictions and co-occurring disorders over 15 years at Catholic Charities of Santa Clara County, where she managed the Adult Substance Abuse Program, as director of outpatient services at Marin Services for Women, and director of outpatient services at Alta Mira Recovery Programs. She has also been a consultant and facilitated groups for a number of programs in the Bay Area. She loves bringing the most innovative and effective tools to her work with participants and programs. 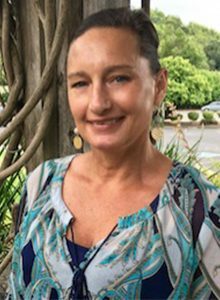 Dana Horton has 25 years working in the field of mental health and healing, offering an eclectic approach including traditional social work, contemporary psychodynamic psychotherapy, and alternative healing modalities. She has her BS in health education, an MS in social work with a license in clinical social work, and is a Therapeutic Body Worker. She spent 15 years working in community-based organizations in the Bay Area and at San Francisco General Hospital Trauma Center. She founded Pacific Healing in 2006 and specializes in trauma, grief and bereavement, substance abuse, developmental disabilities, homelessness, anxiety and depression, and domestic violence. Her private practice is located in San Francisco and Kentfield. Drawing on her own 18 years of sobriety and experience in the field, she has helped men and women from diverse ethnic and socioeconomic backgrounds gain manageability in their life, develop intimacy in relationships, cultivate wellness through self-care, and mobilize community resources. She also provides group supervision and training to therapy trainees at Community Institute for Psychotherapy in Marin County. Gael Murphy has worked in the field of psychotherapy with a primary focus on chemical dependency recovery for individuals, couples, and families for over 30 years. As a native San Franciscan, she obtained a BA in psychology from UC Berkeley and an MA in counseling from SF State University. As her career progressed, the need for extensive treatment for alcoholism, addiction, and dual diagnoses became critical to her client population. The elements of the disease of addiction severely damage individual lives and all the associated relationships. 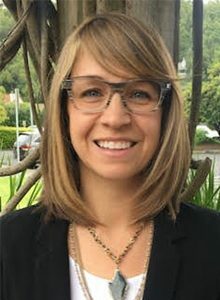 She has worked in nonprofit programs for mothers and children in Oregon and California, as well as high-end facilities in Marin County dealing with addiction, dual diagnoses, and their effects on the family. In addition, she was the executive director of Stepping Stone, a residential treatment program for working women, outpatient programs, and private practice in Marin County. Her focus encompasses a bio-psycho-social-spiritual, evidence-based, integrative model to include CBT, DBT, the 12 Steps, and psycho-educational skills. Through individual and group therapy, clients learn to understand their underlying self-defeating thoughts and behaviors and learn skills needed for establishing long-term sobriety and well-being. Since addiction is a family disease, systemic family consultation and education is needed for healing. She is also passionate about guiding clients and family members in understanding codependency, enabling behaviors, family roles, ACOA, and the challenge of recovery for family system. These relationships can be healed. Gael believes that by concurrently addressing individual and family issues, a life of emotional well-being and balance can be restored and relationships healed. 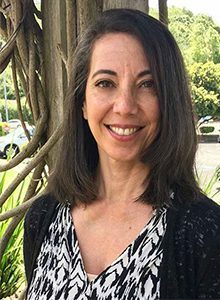 Julie entered the healing profession as a physical therapy assistant after receiving her BA in physical education with a concentration in pre-physical therapy from San Francisco State University. 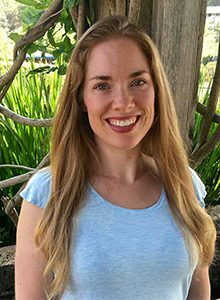 Following her passion for the integration of mind, body, and spirit, Julie earned her MS in counseling psychology at Dominican University in San Rafael in 2010. She has provided psychotherapy and group therapy in a variety of settings. 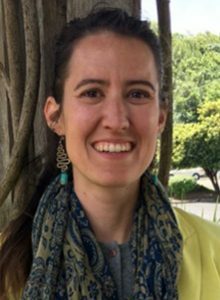 At the Novato Youth Center, she provided counseling for Kindergarten through fifth-grade students at an elementary school and for teens, adults, couples, and families in the agency’s clinic. She also provided therapy for adults at the Petaluma People Services Center. 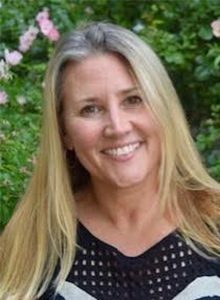 She was a clinical team member at the Family Service Agency of Marin, where she provided psychotherapy for adults, teens, couples, and families dealing with addiction, recovery, and trauma. 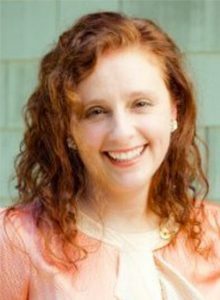 Julie currently provides psychotherapy to adults, adolescents, and couples, and Parent–Child Interactive Therapy to families in her private practice. Her work is focused on participants with chemical dependency, dual diagnoses, PTSD and complex trauma, substance use disorders, multigenerational trauma, and substance use and the phases of recovery. Her passion is guiding those seeking healing from the disease of addiction and trauma and supporting a path to recovery, to ultimately help them live a life they can find meaningful. 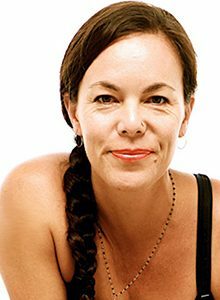 Lea Watkins, a Marin native, has been teaching yoga in the Bay Area since 1998. She works with individuals and groups including families, retreats, and workplaces, and teaches public classes with YogaWorks. She received her certification to teach in the Ashtanga tradition and has spent time studying yoga in India on three separate trips. Her teaching emphasizes the linking of breath with movement and honoring each student’s particular needs and goals. Her students inspire her to create individualized and sustainable programs that grow and change to fit their lives. In recovery herself, Lea has found yoga to be particularity well suited to supporting those working with addictions. She believes that the discipline, breath work, body awareness, and meditation that are inherent to yoga practice strengthen one’s path in recovery and wellness. 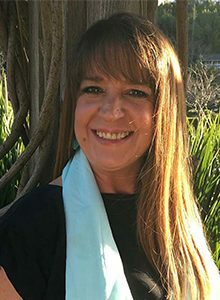 Alison Dotti is an expressive arts facilitator who has been trained through the Tamalpa Institute. She has an extensive background in dance and movement, which she has been practicing for over twenty years. Alison holds a master’s in psychology and is currently in the psychology doctoral program at Meridian University. Alison’s experience includes the use of movement, creativity, and art as a way to build personal growth and expression as well as to promote non-violence with youth in New York City public schools. Alison’s personal experience of growth and healing through the use of movement and creativity has led her into the work of using the expressive arts as a healing modality. In her practice with groups and individuals, she uses the arts, movement, and body awareness as a way to creatively find meaning and new paths in one’s life. 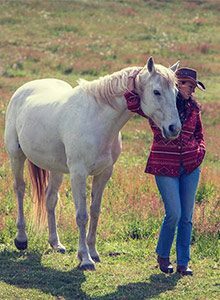 Avery Lane partners with the Mearas Group, whose mission is to develop individuals, teams, and organizations by unlocking the untapped potential that exists in each one of us by partnering with horses as guides. We teach leaders, individuals, and groups how to establish trusted relationships, inspire collaboration, and effectively lead and motivate teams, acting in alignment with passion, purpose, and meaning. Their workshops provide an accelerated learning environment that ignites new insights, strengthens social and emotional intelligence skills, opens new pathways to learning, and deepens one’s connection to their true passion and purpose. Sheryl Cohen is a Marin County native. Sheryl earned her BS from San Francisco State University in 2016 in health education, focusing on community-based public health and women’s health issues. 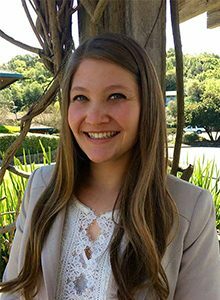 Before graduating, Sheryl completed an internship at the UCSF Osher Center for Integrative Medicine where her interest in mental health and holistic health grew. 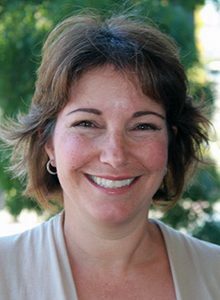 Sheryl was also a health educator for two years with Peer Health Exchange, a national nonprofit organization dedicated to providing comprehensive health education including sexual health, mental health, and drug and alcohol abuse in Title I high schools across the Bay Area. She has a great passion for helping others and brings compassion and hard work to the Avery Lane team. Lauren received her BA in psychology from Mills College in 2009. 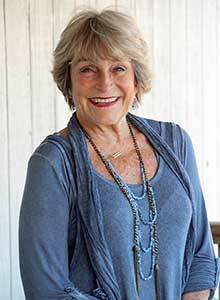 She is a believer in holistic health and integrative approaches to mind–body wellness. Since she was a child, she has been drawn to the healing arts and has always had a passion for dance, music, poetry, and art. In addition to a comprehensive understanding of traditional western psychology, her undergraduate studies included courses in contemplative psychology, transpersonal studies, and East–West psychology. She is a strong proponent of somatic and expressive arts therapy as well as the practice of mindfulness meditation, holistic nutrition, and wilderness therapy. Lauren brings compassion, patience, understanding, and dedication to women in early recovery. Above all, she is grateful to work with women as they begin their journey toward healing, transformation, and self-discovery. Jenna is a Certified Alcohol and Drug Counselor I through CCAPP. She worked at Helen Vine Detox starting in 2012, where she began her education and training in the field of addiction and mental health. She changed her career path after many years in executive administration for investment banking, real estate investment, and the high-tech sector. She has served on the boards of The Little Jim Club of CPMC and The San Francisco Women’s Rehabilitation Foundation, Stepping Stone. 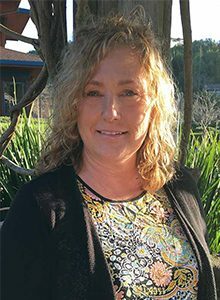 A Marin County native, she has been in the Marin recovery community since 1992 and believes she has a personal and professional passion for helping others, especially women. Christy received her associate degree in human services and became licensed as a substance abuse counselor in Wisconsin in 2013. There, she worked with adult men in a dual-diagnosis facility while completing her bachelor's degree in psychology with a concentration in addiction studies. Since her move to California, Christy has become a certified alcohol and drug counselor and gets to share her passion for helping people in recovery begin a journey to healing. In her free time, she is reading, traveling, playing music, spending time outdoors, and attending to her own recovery. At Avery Lane, she hopes to instill in women the hope that freedom and happiness are possible. Sheila has spent the past 23 years working on her recovery. After spending a year working on getting herself right and free from her addiction, she spent 20 years as a photographer. She worked in various studios, eventually starting her own business working with preschoolers. Sheila realized that she wanted to do more than make beautiful pictures; she wanted to help create beautiful experiences, specifically for women struggling with addiction, co-dependency, and domestic violence. She made the decision to become a certified addiction counselor. Sheila graduated from the California Consortium of Addiction Programs and Professionals. During her time at CCAPP, Sheila was hired by one of her professors as a mentor for Volunteers of America Mather Campus in Sacramento, working with at-risk youth ages 18–25 who were formerly in foster care and transitioning them into society believing they could do and be whomever they choose to be, no matter what their circumstances. Sheila was then offered a position as a counselor at another treatment center in Ukiah. That led her to Avery Lane and to continuing her education to earn a bachelor’s degree in addiction studies. Stephanie is a registered alcohol and drug technician with CCAPP. She currently resides in beautiful Marin County, where she is raising her teenage daughter and hiking with her dog, Max. Stephanie draws from her experience through her own addiction and her years in recovery to help others seeking a better path. Her experience has given her a unique strength of character, compassion, and empathy for those seeking recovery. She is currently pursuing her education to become certified for CADC and has also attended psychology courses at the College of Marin. Stephanie is passionate about supporting and meeting individuals at all stages of recovery, assisting women in building life skills and healthy relationships, and helping them be successful in their recovery-based lifestyle. Jim brings more than twenty years of culinary and management experience to Avery Lane. Jim began cooking professionally while earning his bachelor’s degree at Loyola Marymount University in Los Angeles. Throughout his career Jim has passionately cooked professionally while managing a career in management and executive recruiting. In 2013, Jim put away his white collar in favor of his chef’s jacket, electing to engage his passion to cook full time. Jim brings restaurant, catering, BBQ, and private-chef experience to our team. “There is no question that food—the warmth and sustenance that it brings—is an integral and enjoyable part of the recovery experience. Our culinary team strives to make meal time the most enjoyable part of each client’s day,” says Jim. Mary has been a chef at heart since she could reach the kitchen counter at 5 years old. Working alongside her mother, she saw the appreciation and love of good-tasting, well-presented meals. Bringing family and friends around her table is big fun for an Italian family. When her mom would say, "Are you hungry?" she knew she was loved. Today, she is still cooking my heart out and loving it. To nurture others, to help heal, and to add lively conversations around the table are what she loves. She is very happy being a chef. Lisa grew up in Daly City and has lived in Sonoma County for the last 20 years. She has been working in the restaurant industry, mainly in large hotels, institutions, and catering since she was 17 years old. 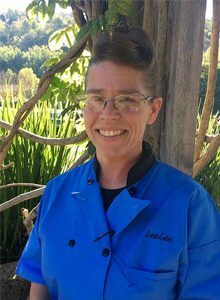 Lisa received her culinary certification in 2000 from the American Culinary Federation, Treasure Coast Chapter, in South Florida, while apprenticing at Sandhill Cove Retirement Community under Chef Josiene Vuidar. She has been in the recovery community for the last 7 years and believes it is a privilege to be doing what she loves while being of service to the program that gave her life back. TJ Woodward has helped countless people through his simple, yet powerful teachings. He is a spiritual author, inspirational speaker, awakening coach and addiction counselor, all in addition to being the founder of Conscious Recovery and the creator of The Conscious Recovery Method. TJ is the founding spiritual director of the Agape Bay Area spiritual center, which was recently given the prestigious honor of being selected by Rev. Michael Beckwith to be the first satellite community of Agape International. 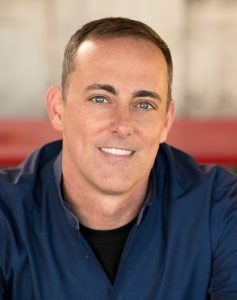 In addition, he is the host of Awakened Living TV and Awakened Living Radio, is a sought-after guest on various radio and TV programs, and is a keynote speaker at many spirituality and recovery conferences throughout the world. Woodward is the author of the books, Conscious Being: Awakening to Your True Nature and Conscious Recovery: A Fresh Perspective on Addiction. A champion of awakened living, TJ meets with clients for spiritual assessments and spiritual counseling sessions that are designed to assist them in pursuing their own inner journey. He also facilitates Conscious Recovery Groups that help people connect with their inner essence and confront harmful feelings of shame and erroneous beliefs that keep them stuck in a pattern of hopelessness and addictive patterns. "My goal is never to imprint my beliefs onto someone else, but instead create a space to assist them in developing their own personal spirituality. My intention is to provide clients with tools they need to live lives filled with more connection, love and purpose." says Woodward. Karrin Genovese, MD graduated from the University of California, Davis with a BS in Exercise Physiology, then went on to get her medical degree at the University of St. Eustatius in Netherlands, Antilles. She completed her residency in the Department of Family Medicine at the University of Connecticut. Dr. Genovese spent much of her career practicing as a primary care physician in a multidisciplinary group in New York. 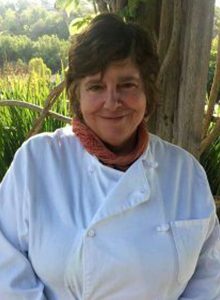 Since moving to Northern California she maintains a private practice in Marin and works with Muir Wood caring for our residents and families. She is a member of the American Holistic Medical Association and the American Board of Family Medicine.